Iraqi forces have entered Islamic State-held Fallujah, one of their key strongholds in Iraq, capturing a police station, Reuters reported. 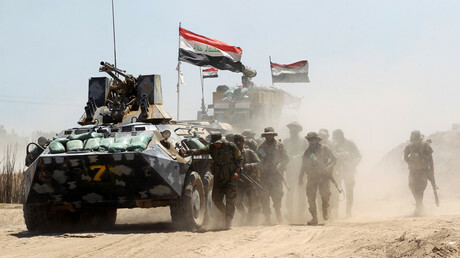 On Sunday, Iraq completed a troop build-up around the city, about 65 kilometers (40 miles) west of Baghdad. Iraqi troops forced their way into the city from three directions on Monday, Lieutenant General Abdelwahab al-Saadi, the commander of the operation. 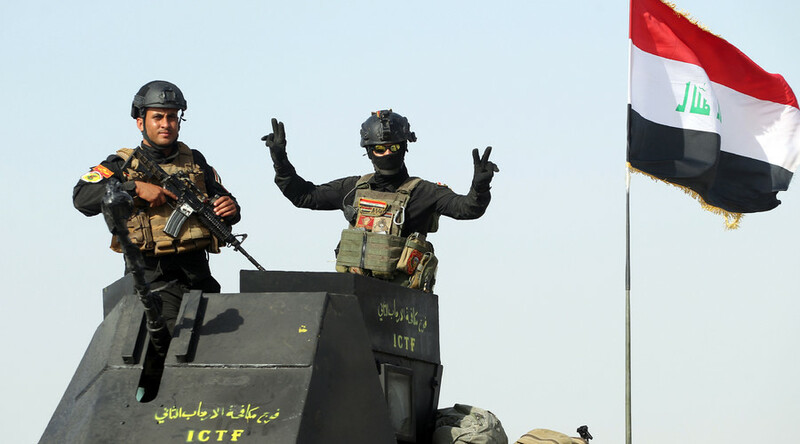 "Iraqi forces entered Fallujah under air cover from the international coalition, the Iraqi air force and army aviation, and supported by artillery and tanks," al-Saadi told AFP. "There is resistance from Daesh," he added, using an Arabic acronym for Islamic State (IS, formerly ISIS/ISIL). The Rapid Response Team, an elite military unit, seized a police station at midday on Monday, state TV reported. An Iraqi military officer told Reuters the government's military unit is currently trying to advance in Fallujah, with explosions and heavy gunfire reportedly heard in Fallujah's southern Naimiya district. Iraqi government-led forces launched an offensive to dislodge IS militants from Fallujah a week ago, and have been slicing through ISIS positions ever since. The terrorist group still controls territory in the north and west of the country, including Iraq's second largest city, Mosul. Major Dhia Thamir told AP on Sunday that Iraqi troops had recaptured 80 percent of the territory around the city since the operation began last week. Iraqi Prime Minister Haider al-Abadi said, during a televised speech to parliament, that the "current second phase of the Fallujah operation" will last less than 48 hours. The large-scale assault, carried out by the Army, police counterterrorism units, local tribal fighters and a coalition of Shiite Muslim militias, continues on all fronts around the city. Besides making vast gains in the north, forces, aided by US advisers, have also been advancing on the city from the Sinjar direction. “We are moving in the right direction. We are killing those criminals,” a police unit fighter told RT last week, adding that approaches to the city are mined. Fallujah, which survived some of the heaviest fighting of the 2003-2011 US-led military intervention, was the first city in Iraq to fall under IS control in January 2014. In late June, 2014, the extremists declared a caliphate in territories seized in Iraq and Syria. Several bombings were launched by IS in Iraq on Monday, and are believed to be aimed at distracting the attention of security forces. In Baghdad, a suicide bomber rammed his explosives-laden car into a checkpoint next to a commercial area, killing eight civilians and three soldiers. Up to 14 others were wounded, a police officer told AP. A suicide car bomber also struck a market in the town of Tarmiyah, about 50 kilometers (31 miles) north of Baghdad, killing seven civilians and three policemen, another officer said. Twenty-four people were wounded.